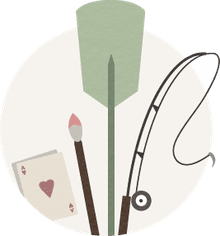 Artists can choose to paint in any of several different media - oil, watercolor, pastel, gouache, acrylic - and each has their advantages and disadvantages. Here are some of the advantages and characteristics of acrylic paint that it makes it a great choice for beginners and experts alike. Acrylic paint is a fairly recent medium compared to the long-standing traditions of oil and watercolor painting. The Mexican muralists of the 1920s and 1930s, such as Diego Rivera, are the artists who first used the paints on a large scale due to their durability. American artists were introduced to acrylic paints through these muralists, and many of the Abstract Expressionists and other well-known artists, such as Andy Warhol and David Hockney, began to experiment with this new medium. By the 1950s acrylic paint became commercially available and it has greatly increased in popularity since then, with new colors and mediums being introduced regularly. Acrylic paint is one of the most versatile mediums, and one of the least toxic. It is water-soluble when wet and yet because it is a plastic polymer, dries into a flexible, water-resistant, and durable surface to which subsequent layers of paint can be added without disturbing the underlying layers. What is most notable about regular acrylic paint is its fast drying time. Since it dries quickly, an artist can work in multiple successive layers without muddying the colors. A spray bottle of water is indispensable to slow down the drying time a bit, both on the painting and on the palette. If you do not like this characteristic, or at least would like to have more control, there are also acrylic mediums that will retard the drying time and enable you to paint wet-on-wet. Try Golden Acrylic Retarder (Buy from Amazon) or another brand to increase the open (workable) time of your paints. You could also try Golden Open Acrylic Paints (Buy from Amazon), which stay workable longer, or Atelier Interactive Acrylics (Buy from Amazon), which stay workable longer with a spray of water or their unlocking medium. 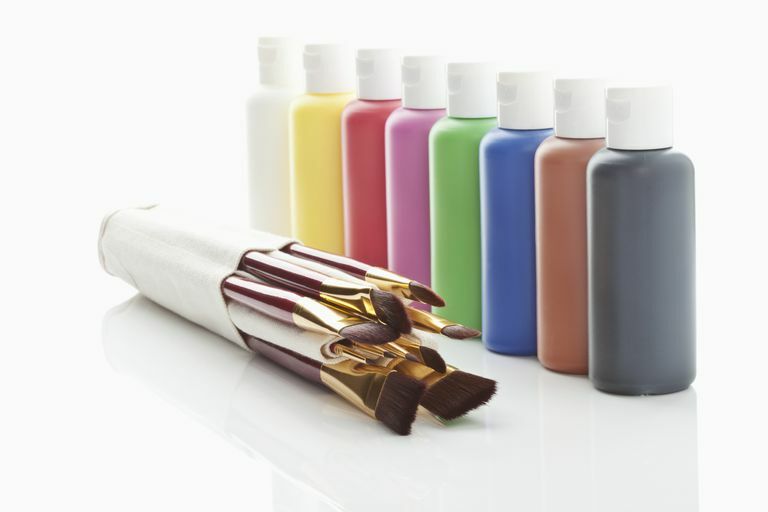 Acrylic paint can be purchased in a variety of forms - in tubes, in jars, in plastic squeeze bottles, and in small ink-bottles. It also comes in a variety of different thicknesses, those in tubes being the most viscous and most like oil paint. Whatever form you use, but particularly for large jars and tubes, it is important to make sure the paint is sealed properly in order to keep the paint from drying out. Acrylic paint can be thinned with water and other mediums and used like watercolor. However, if you use too much water the acrylic paint will start to break down and disperse, leaving little flecks of color in your paint. If you do want a very fluid medium, try the liquid acrylic in ink form. You can also add specific mediums for glazing and thinning, such as to flow medium. Adding this to the paint will help thin it out. You can use as much of this medium as you want since it is made with the same plastic polymer as the paint. Acrylic paint can be used like oil paint in many ways. Although acrylics are known for their bright colors, many of the colors are the same as oil and can be used in a way that is indistinguishable from oil paints. There are also mediums available that thicken the paint and retard the slowing time so that the paint can be manipulated the same way as oil paint. There are many options for acrylic painting surfaces. Acrylic can be used on paper, canvas, wood, masonite, cloth, concrete, brick, basically anything that isn't too glossy or too greasy. And because you don't have to contend with oil seeping out of the paint and damaging the surface, you don't have to prime the surface before you paint on it. However, if the surface is porous, water will be absorbed into the surface initially, so in order to apply the paint more smoothly, it is good to prime the surface with gesso or another primer beforehand. For nonporous surfaces such as glass or metal, it is also good to prime the surface first. Because of its versatility, durability, adhesive qualities, and low toxicity, acrylic is great for crafts, collage, and mixed media work. There are some differences in quality and composition between craft and artist acrylic, though, so artist quality paint is best for artwork. Both can be used for crafts, though.